We have come full circle. Our breath a little slower and a little deepper. Shining smiles of accomplishment we pat each other on the back (after some challenging moments have passed). We did it! A family effort. 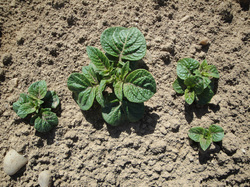 The potatoes are happily setting masses of roots and shoots searching for the sun above the nurtured soil. The potato field has expanded by a ½ acre in area and by several hundred pounds in density. The land was cultivated more and the soil supported to produce healthy resilient plants. We are excited for the coming months and anticipate an abundant harvest of beautiful, nutritious, tasty taters with the blessing of our Mamma Gaia and Pappa Sun! Many thanks and much gratitude for all the support, in all the ways we received it in 2015. The success will carry forward into this season. May we continue in this beautiful dance to support other Local West Kootenay Food initiatives as we have been supported! We are in the thick of it now! The heart of harvest. Blessed with gorgeous blue sky, warm sun and not a sign of rain for the moment. The moon is waning, and potatoes like to be dug in the dark of the moon. First we are digging the fingerling varieties as they take special attention; dug by hand with just a fork to loosen the soil. These first few days of harvest are just the two of us and our little guy of 10 months and our dog. It is so amazing to have our little guy out there in the field playing with the dog, the dirt and best of all for him…emptying the newly filled bucket and bags. The other evening as the sun was low on the mountains, the colour of sunset brightening, a neighbour came down to the farm to load her truck with hay bales. I watched her, in admiration, as I continued to dig. How amazing to see her out there with all that power and heart to live the way she does on her farmstead. In that moment I wished to be as strong and determined as she is at her stage of life when I get there. Once her truck was full she stopped to say hi. She told me of how I brought back memories of herself when her child was young. Barefoot harvesting with a babe at her side :) A chance to get sentimental that night indeed. She joined in and dug potatoes with us until the sun went over the mountain and talked of the past and the present and what may come. This life is truly fascinating! May this weather hold for a little longer as we get these potatoes packed into the barn for you all to enjoy this winter and plant in the spring! Thank you to my husband, son, and friends (Hannah you are amazing) who have been there through this season in all weather and bugs to see this endeavor succeed! 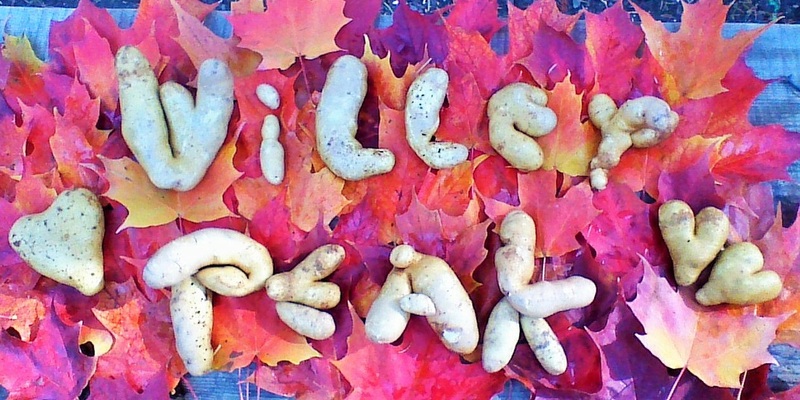 We are excited to announce that our big fall harvest is just a few weeks away now! 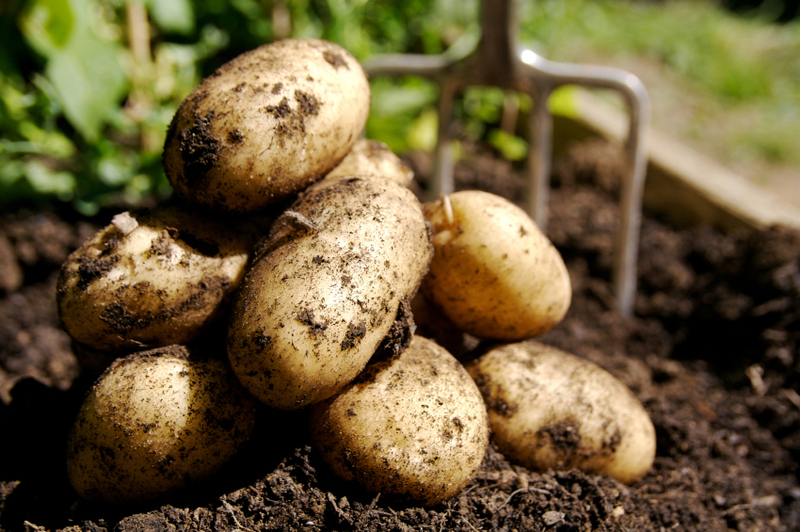 Make sure you have a sufficient winter storage supply of our delicious organic varieties for every dish you could imagine potatoes in! Place a bulk order with us now for October deliveries. call or email us for current prices. prices based on quantity. We want to thank all those that buy direct from their local farmers because it means the full market price goes to the farmer and can be invested right back into the farming business.